Did anyone notice Google's theme pic today? Have a fun and safe day, everyone! Happy St. Pat's Day! The shamrocks are pretty! Keep smiling, Michele! It's contagious! Happy St Patrick's Day! Your table setting in previous post is such fun! Look forward to seeing your tea! It's always fun to see what Google comes up with...sometimes, I have to investigate to figure it out. 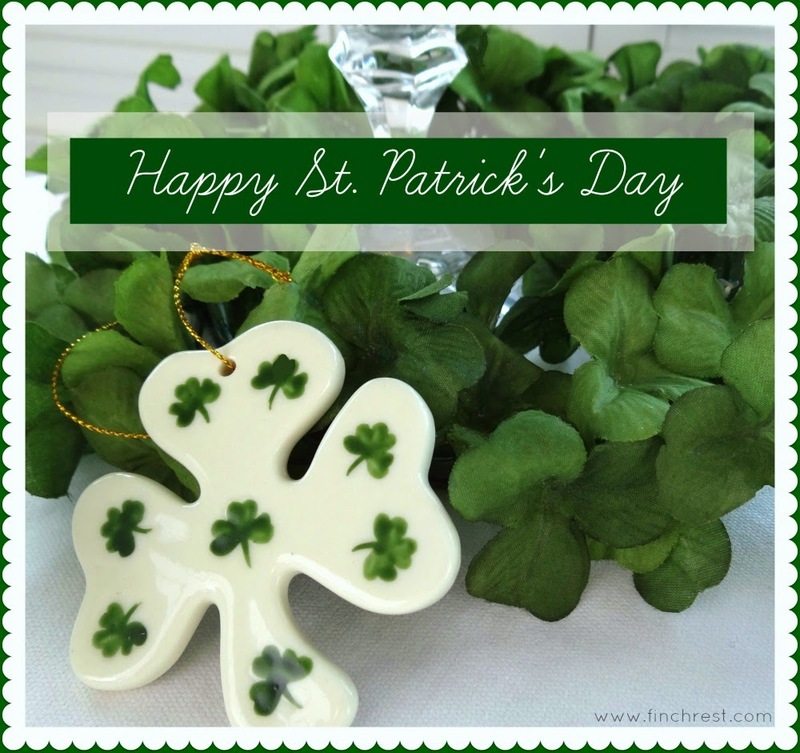 Always love your shamrock posts! Happy St. Patrick's Day to you, Michele! Happy St. Patrick's Day. I'm sure your tea party is going to make us drool over the decor and treats! Easter and Spring at the Emporium! Happy Spring - 4 Giveaways!